Peter Crush of the HKRS supplied this clip, thought to have been taken at Tonshan (Tangshan) Colliery between 1910 and 1920. 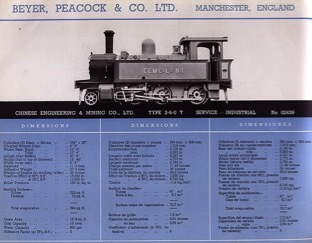 The locos are thought to be a Beyer Peacock 2-6-0T built in 1909 and a Dubs or North British 2-6-2T of the Peking-Mukden (Beijing-Shenyang) Railway. 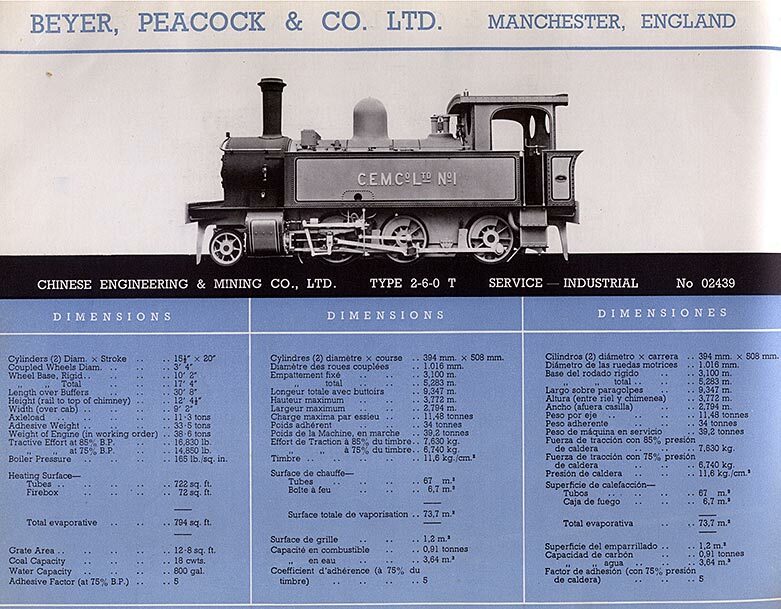 Peter also supplied a picture of the 2-6-0T from an early Beyer Peacock catalogue (click on the image to see a larger version).